That was almost exactly 14 years before he’d hit No. 2,000: a ground ball up the middle against Chicago White Sox reliever Aaron Bummer that scored two runners. Miguel Sano and Eddie Rosario, the 3 and 4 hitters, stranded him after striking out. He stood at first momentarily — having already tipped his hat to the crowd and received congratulations from White Sox first baseman Jose Abreu and Twins first base coach Jeff Smith — then progressed towards the dugout not exactly sure what to do next. He meandered about halfway to the dugout, waved at the fans once again, and then proceeded forward to receive hugs from teammates Byron Buxton, Max Kepler and Eduardo Escobar as they entered the field. His mother and father were there. So were his grandmother and grandfather, as well as his wife Maddie. Rod Carew and Kirby Puckett are the only other players to reach the 2,000 career hit marks in a Twins uniform, and only seven players in franchise history have done so — including Harmon Killebrew. A lot has happened since Mauer had that first hit. He has converted from a catcher to first baseman after suffering a career-altering concussion in 2013. The Twins went from the team to beat in the AL Central to a perennial doormat. He had only three MLB hits the last time the Minnesota Timberwolves last played in a playoff game — his career basically spans their entire playoff drought, which was snapped on Wednesday. Mauer is batting .412/.545/.529 in 10 games this season. He leads the majors in both average and on-base percentage. He’s 35 and hit .305/.384/.417 last season, but hit .267/.353/.380 in the three years before that — all taking place directly after he suffered the concussion that prompted the move to first base. It took him 3,064 at-bats in 827 games to reach the first 1,000 hits, and 3,419 at-bats in 915 games to reach the second. He’s in the midst of the final year of his eight-year, $184 million contract that pays him $23 million per year. Once on a surefire Hall of Fame trajectory, he’s no longer certain to be enshrined in Cooperstown. Mauer said that his teammates pitched in and bought him a bottle of wine to celebrate the occasion. Molitor hasn’t gotten him anything yet. For how long is the question. When he reached 1,000 hits he was a 27-year-old catcher in his prime on a team that won 94 games. Now he’s the veteran on a young team looking to make the playoffs for the second year in a row, ideally as the AL Central champion, but more likely as a Wild Card team. Last time his contract was up, in 2009, the idea was he’d be the lynchpin in a championship team that could be built out with increased funds from a new ballpark, and we all know how that turned out. Now we’ll see if he can be a steady-hitting first baseman when Buxton, Sano and company are at their best and ready to make the Twins the team to beat in the AL Central again. 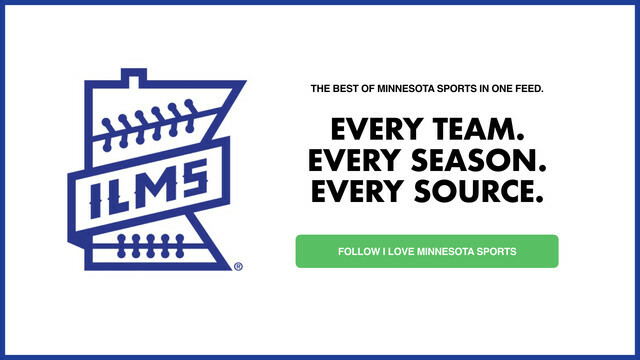 Tom Schreier is the proprietor of ZoneCoverage.com and previously wrote about Minnesota sports for Bleacher Report and Yahoo! Sports before joining 105 The Ticket in 2014. Follow Tom on Twitter @tschreier3.